Summer months can bring heavy rainfall, and with heavy rainfall comes the risk of basement flooding. This can happen for a number of reasons, but it’s usually the result of water following the path of least resistance. That path often leads right to the exterior walls of your basement, where it can saturate the ground and eventually make its way inside. There are several precautionary steps you should take to prepare for flooding, but there are also ways you can prevent it from happening in the first place. The only thing worse than standing water in a basement is standing water and sewage. Sometimes, sewer systems can be overwhelmed by rainwater and back up into your basement. A backwater valve prevents this. It automatically closes if sewage starts backing up into your lines. If you don’t already own a sump pump , it would be a wise investment. The system includes a sump pit, pump, and discharge pipe. The pit is placed in your basement, where it collects water from your weeping tiles. The water is then pumped through the discharge pipe, well away from your home. It should be directed towards land where it will be easily reabsorbed into the ground, such as a flowerbed or your lawn. Obviously, it would be ideal to never have to deal with a flooded basement to begin with. Flood restoration is expensive and time consuming, so it’s incredibly important that you take as many preventative measures as possible. Fortunately, there are numerous things you can do to determine what kind of steps you should be taking to prevent basement flooding, and many of them require little effort and, in some cases, no money. First, you should consult a flood plain map here , which details each community’s risk for flooding. FEMA determines how likely it is for an area to flood by studying rainfall, storm tides, and river flow and then comparing that to its topographical information. Next, examine your gutters and downspouts. Keep your gutters free of debris so water can move freely through them, and make sure your downspouts are directing water at least 6 feet away from your foundation. 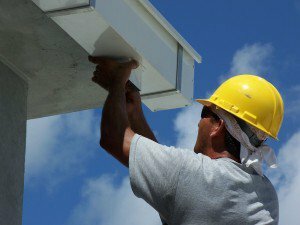 If your downspouts aren’t carrying water far enough away, downspout extensions are inexpensive and easy to install. When it rains enough to produce standing water, take a walk around the outside of your house. Does water pool right next to your home? It’s possible that your land slopes toward the foundation of your house, causing water to flow downwards and settle against the weeping tile of your basement. Over time, this can cause your foundation drainage system to become overwhelmed, resulting in flooding. This sloping is simply the result of time and land’s tendency to settle . While you can’t prevent it, you can treat it through lot grading or shaping the land such that water flows away from your home rather than to it. A good rule of thumb is to grade the land at least 6 feet out from the foundation so water will almost certainly be redirected elsewhere. Just make sure you aren’t sending it over to your neighbor’s property! Of course, before you do this, you should be aware of any grading guidelines that may be in place by contacting the city . Furthermore, if you don’t have the experience or equipment for this project it may be best to hire professionals to do it for you. Alternatively, you could opt to dig a swale , which is essentially a ditch designed to catch water runoff. A swale should be dug at least 6 feet away from your house, between where your land slopes inward and your foundation. Preventing a disaster before it occurs is the surest bet to save you a major headache in the future. You won’t regret taking a few minutes out of your day to assess your home to determine the likelihood of basement flooding. What should I be aware of about the plumbing in my home, both new an older construction? 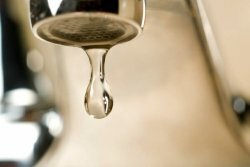 You should frequently check all faucets and other valves for leaks. Turn the water on, look under the sink and run your hand around the shut off and drain pipes to make sure they are not leaking. Then go down to the basement and check for leaks. A good way to remind yourself is to mark your calendar and check these areas every change of the season. If you see any water staining in the walls or the ceiling call a licensed plumber right away. If your water pressure in an older home appears marginal or poor remember your old pipes may be corroded. I have seen pipes so full of corrosion the opening is no bigger than the lead of a pencil. When pipes get like this the only thing you can do is call a licensed plumber and have them removed. When you check the toilet listen for hissing sounds that may indicate that it is running and wasting water; new parts may need to be added. If the toilet is loose I would recommend you pull the toilet, evaluate the floor and replace the wax seal. In older homes if you have an old toilet I would recommend replacing them. Some of the old toilets would flush on five gallons of water where the new ones flush on about a gallon and a half. This is a real water saver. To help extend the life of your water heater drain off about three gallons of water out of the faucet at the lower part of the heater. This helps remove sediment that builds up on the bottom of the tank. I would do this about every three months. Everyone in the house should know where the main water shut off is, in case you have to shut off the water to the whole house if there is an emergency. I recommend tagging the valve so it is easier to find especially for children. Check all shut off valves through-out the house for leaks. In older homes many times there are no shuts-offs under the sinks and other water lines. 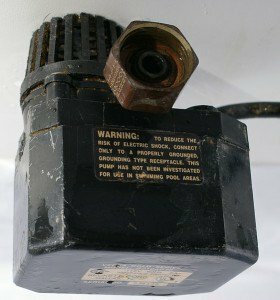 I would recommend installing them; that way you can turn off the water right at the source of the leak instead of having to run down to the basement to close the main shut off.